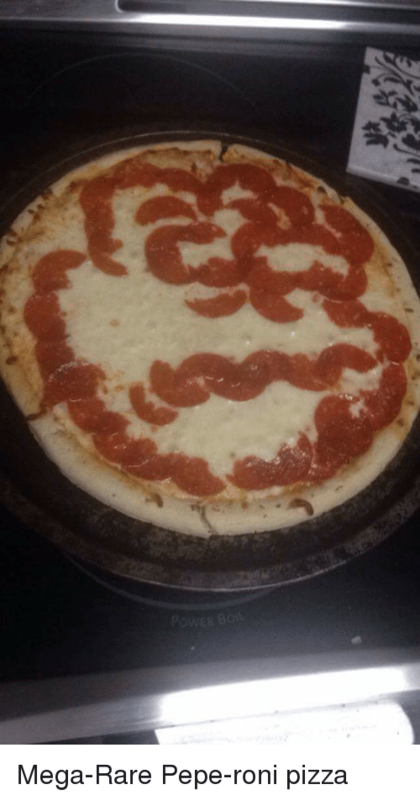 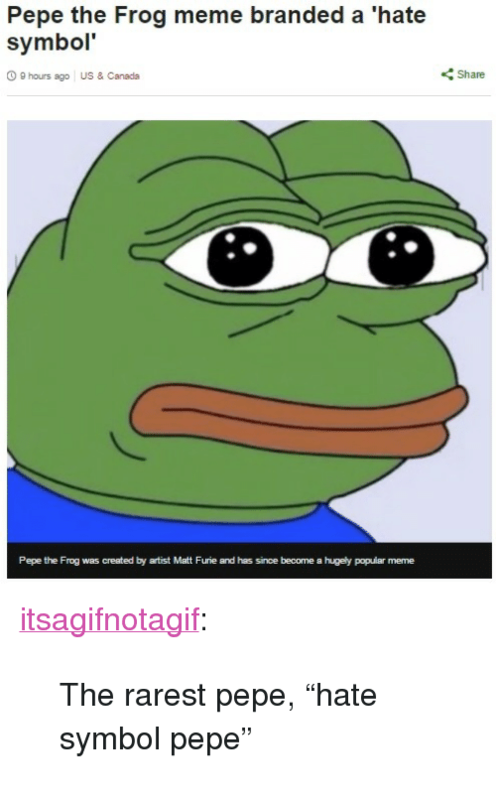 Pepe the Frog, Squidward, and Pepe: They put a painting of Squidward as Pepe the Frog in one of their episodes. 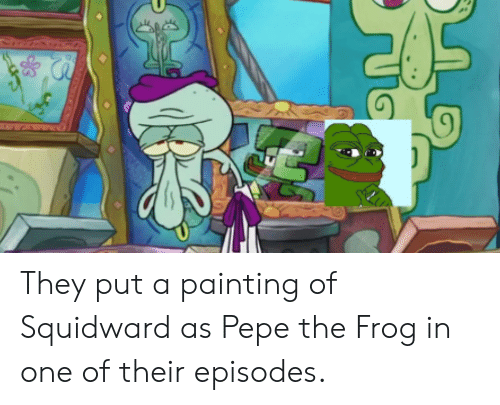 They put a painting of Squidward as Pepe the Frog in one of their episodes. 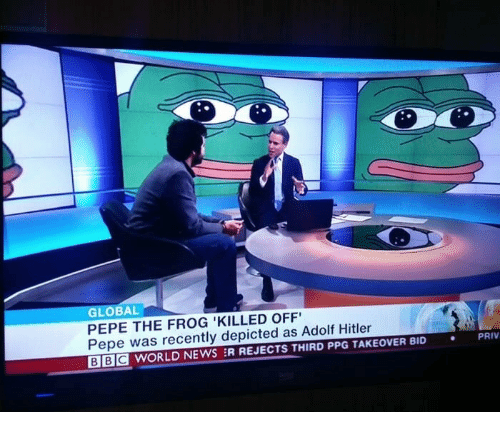 News, Pepe the Frog, and Hitler: GLOBAL PEPE THE FROG 'KILLED OFF Pepe was recently depicted as Adolf Hitler BE WORLD NEWS :R REJECTS THIRD PPG TAKEOVER BID PRIV . 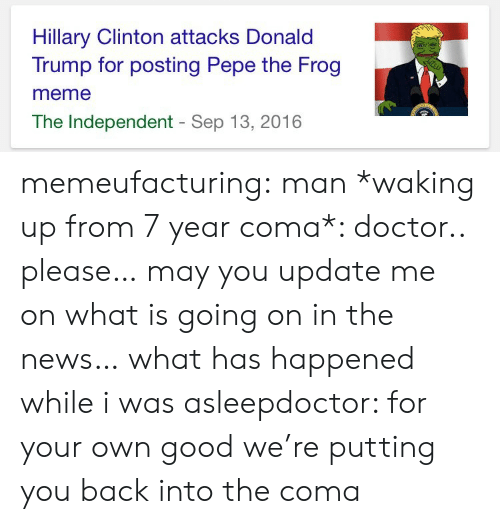 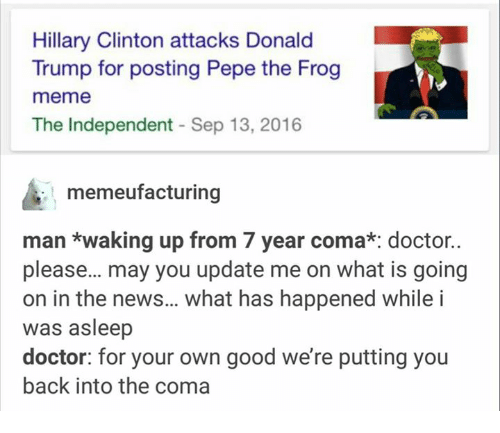 thenib: Pepe the Frog: To Sleep, Perchance to Meme. 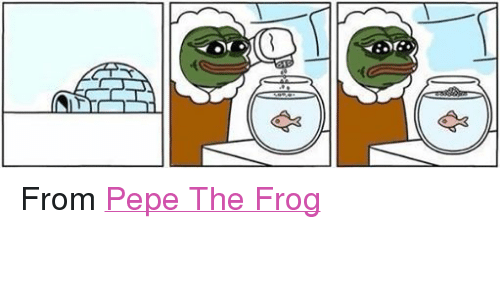 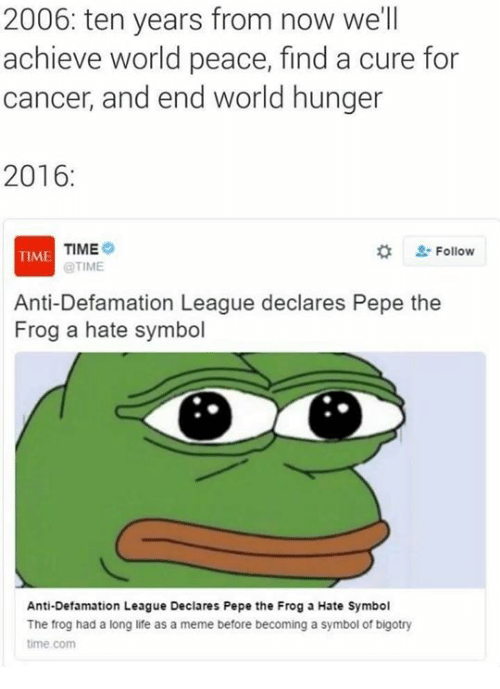 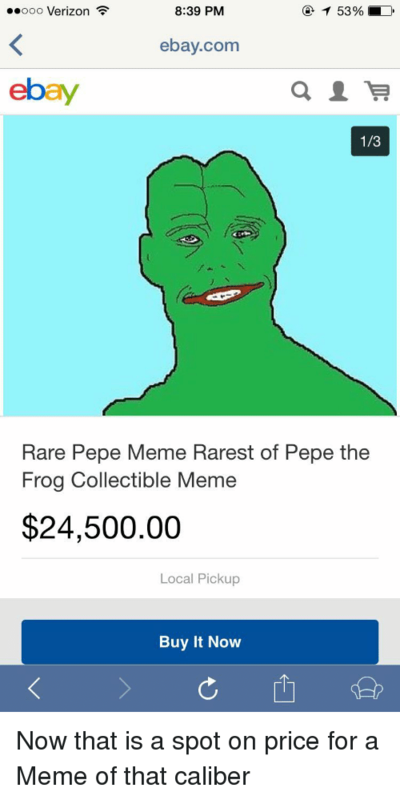 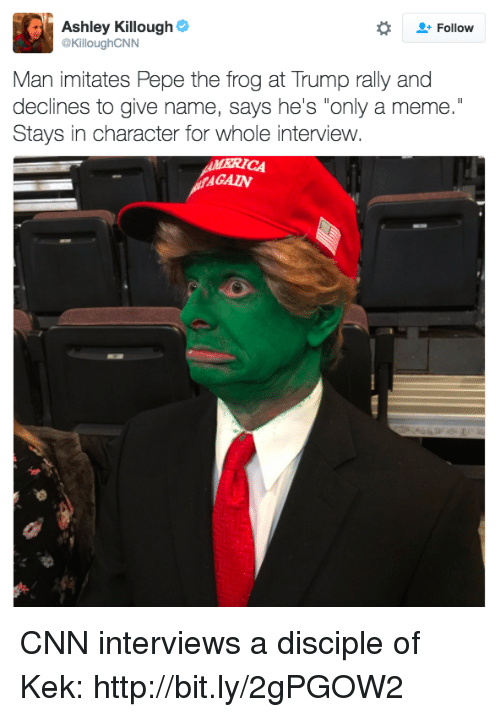 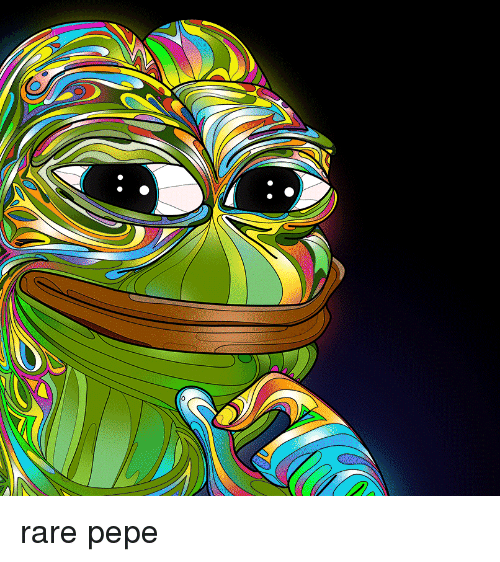 Matt Furie, Pepe’s original creator, draws his 2016 nightmare. 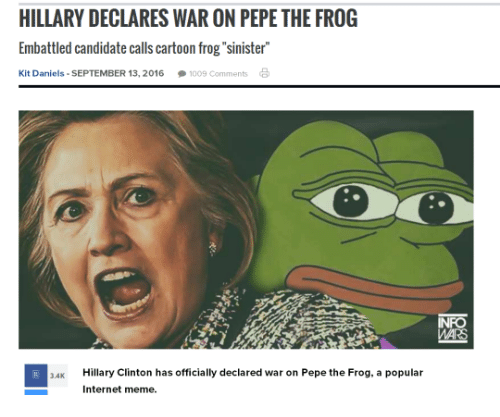 Dank, Facts, and Internet: DON'T TREAD ON MEMES (F) The great Meme-war of the 21st century: Many millennials, including the admins of this page, have grown up with access to the Internet. 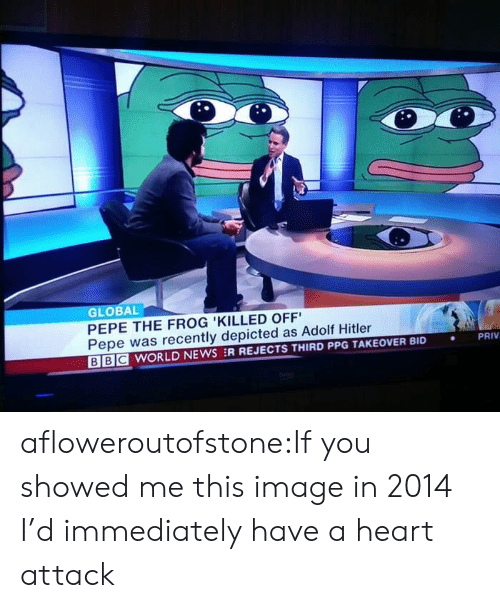 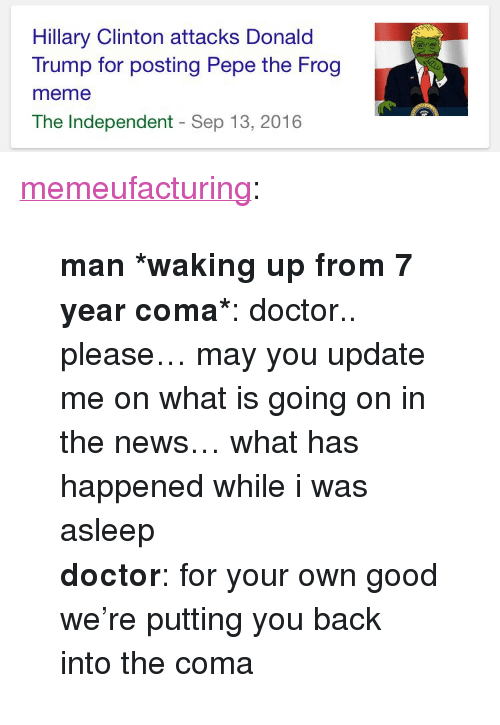 The Internet is a game-changer for connecting and informing people. 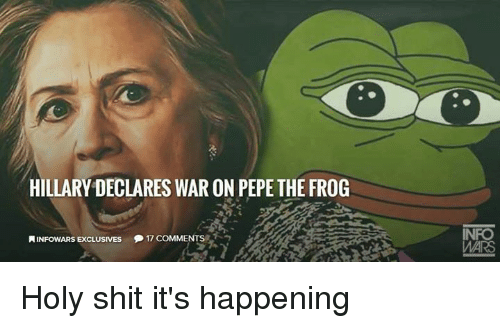 Over the years on this page we have shared memes that have reached 100,000's of people. 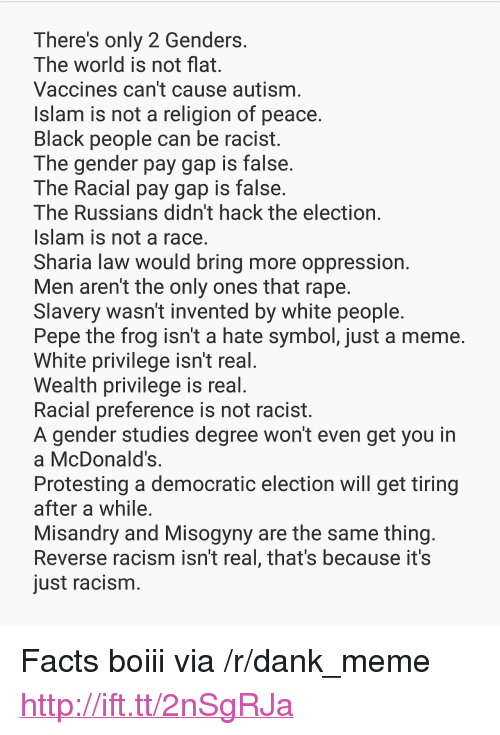 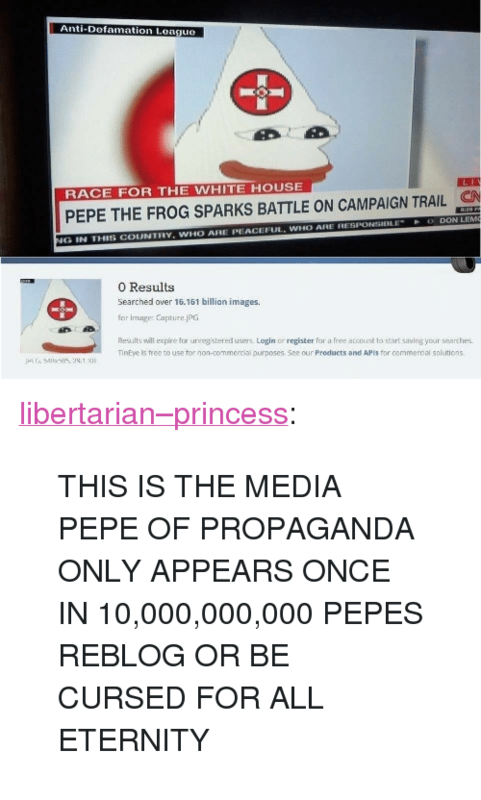 With one meme/image you can convey facts instantaneously with others (AKA Meme Magic). 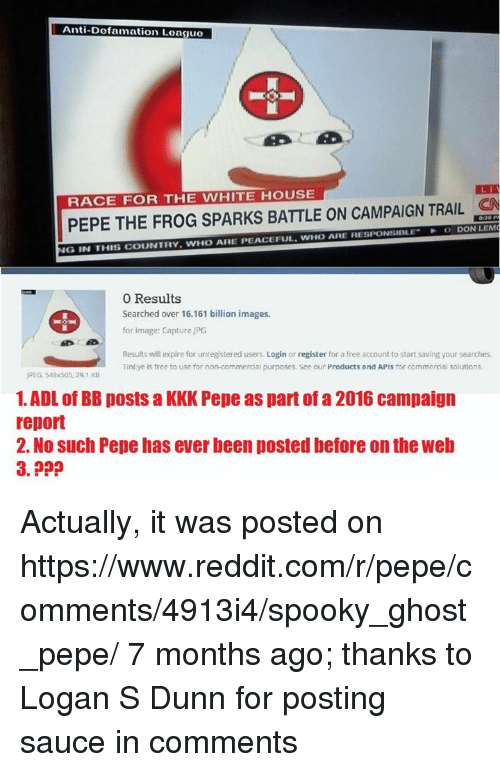 Recent attempts by the Democrats and Media Establishment to portray Pepe the Frog as a "racist hate-symbol" is a predictable response to what they consider a threat. 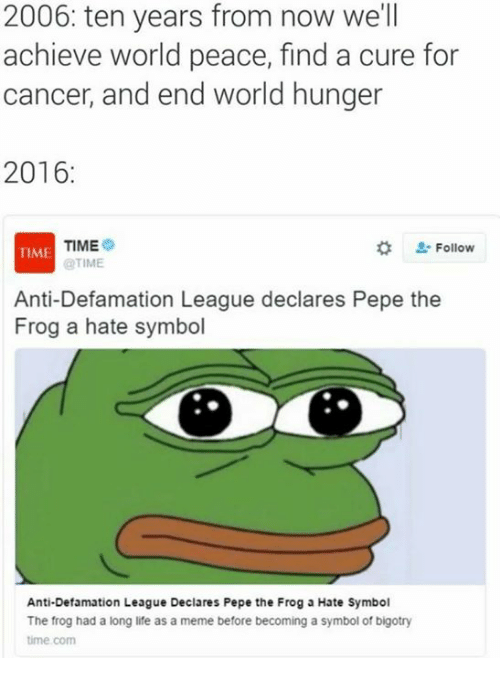 Any attempts to dismiss and ostracize memes will backfire completely. 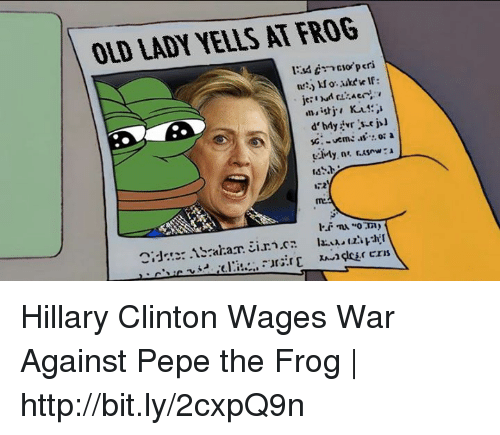 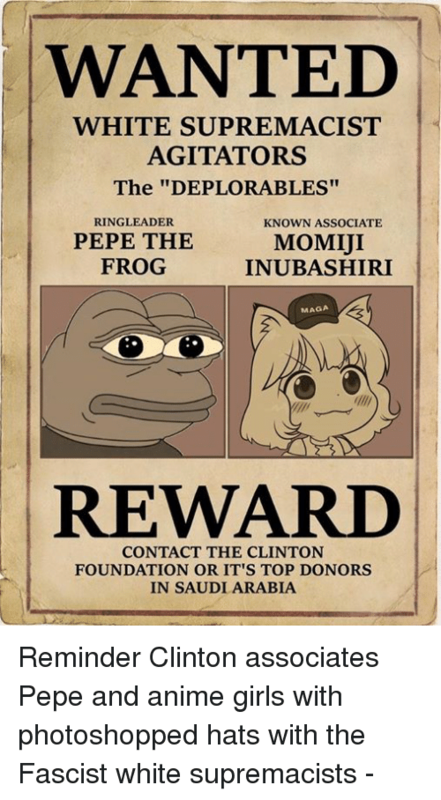 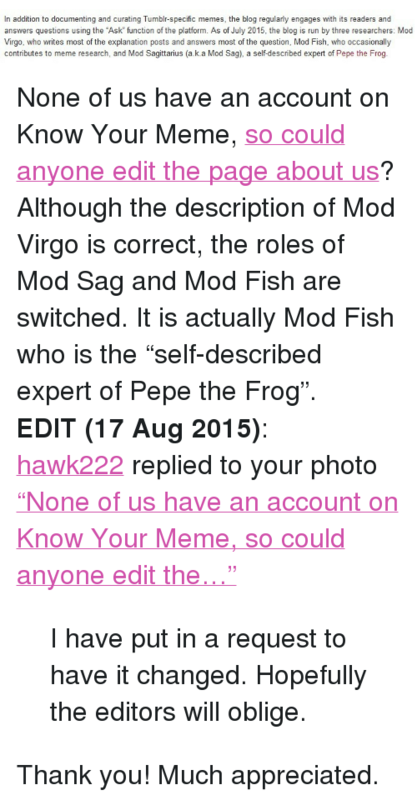 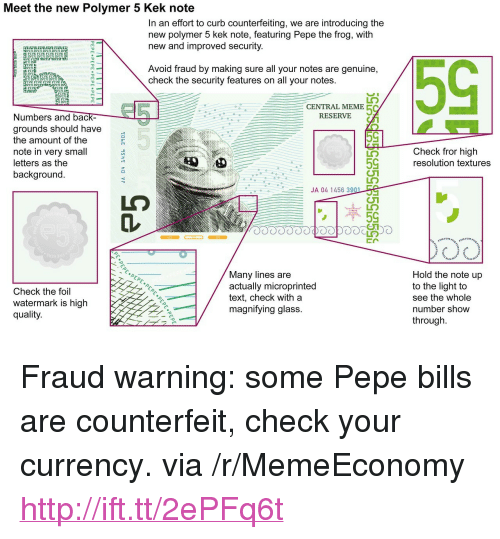 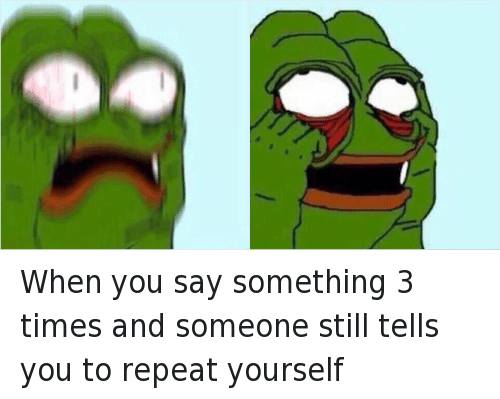 They fear the memes, and they fear the frog! 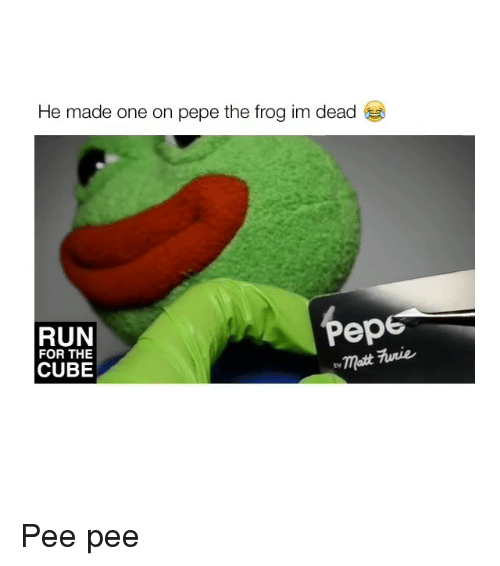 Create and share memes, It really can make a difference!